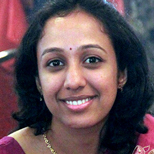 Yasaswini Sampathkumar is a freelance writer and educator living in Assam, India. She spent a decade pursuing a career in molecular biology before turning to teaching and writing. She writes about education, life science, conservation and women’s issues. She is passionate about sustainable lifestyles and enjoys teaching first-generation learners.